The edition I read was translated by Ellen Elias-Bursać. She is nine years old when the Croatian War of Independence breaks out in the summer of 1991. She is sent to a seaside town to be aware from the danger. Meanwhile, her father has disappeared fighting with the Croatian forces. By the time she returns, everything has changed – her father is missing and she, her mother, ad her brother are displaced persons, fleeing the violence with nothing to call their own. The Hotel Tito is written in first person and all the way through the story you never learn the young girls name. It wasn’t till towards the end of the novel that I realised it was based on author Ivana Bodrožić’s experience, that she was the young girl we were following for five years. It’s interesting to see the fallout of war from a nine-year-old’s point of view. She doesn’t always understand what different politicians stand for, the political jokes adults around her say, and what could’ve possibly happened to her father. Even as she gets older, and being a displaced person is a part of who she is, she doesn’t always understand people’s resentment towards her and she takes on the attitude of us vs them in regard to her classmates. The girl, her mother and brother have to live together in one room of a hotel for years. The hotel is for displaced people, with whole families to a single room. As she becomes a teenager it’s harder for her because both she and her older brother don’t have any personal space, they are stuck in one room that isn’t a home for years. I knew nothing about the Croatian War of Independence before reading The Hotel Tito. I really mean nothing as it was a conflict that I had never even heard of. The fact that people had to move from one part of the country to another for their own safety, leaving their homes and belongings, and were often met with hostility from their own countrymen is hard to wrap my head around. These people were refugees in their own country, and their own politicians near enough abandoned them, with no home and little to no financial support. 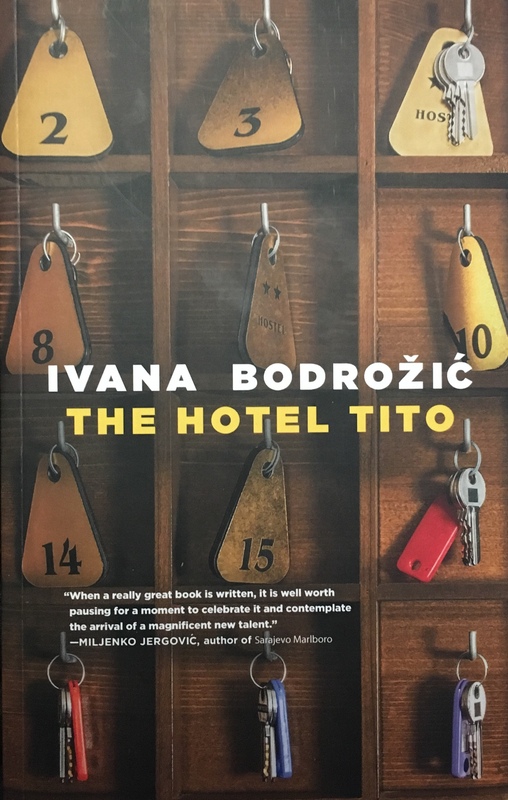 The Hotel Tito is the story of a family who are stuck in limbo, and a young girl who not only has the usual struggles that comes with becoming a teenager, arguing with siblings, fancying boys and going to parties, but also having a sense of no real security. The Hotel Tito is easily accessible thanks to seeing such harsh realities of war through the eyes of a young person, but that makes this true story even sadder.